NOT YOUR TYPICAL HAZY SMOKY TONED EXAMPLE! This is a black and white beauty!!! Both obverse and reverse offer matching frosted CAMEO+ devices contrasted against pristine spot-free, haze-free jet-black mirrored fields. 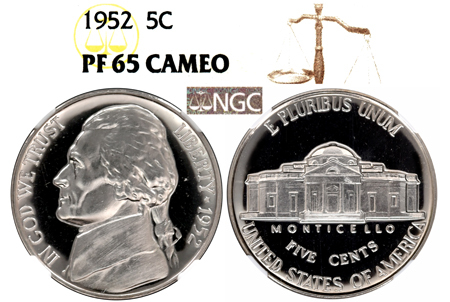 NGC has only certified 10 examples in PF 65 CAMEO.